Welcome to Skin Vitality Medical Clinic in Oakville! 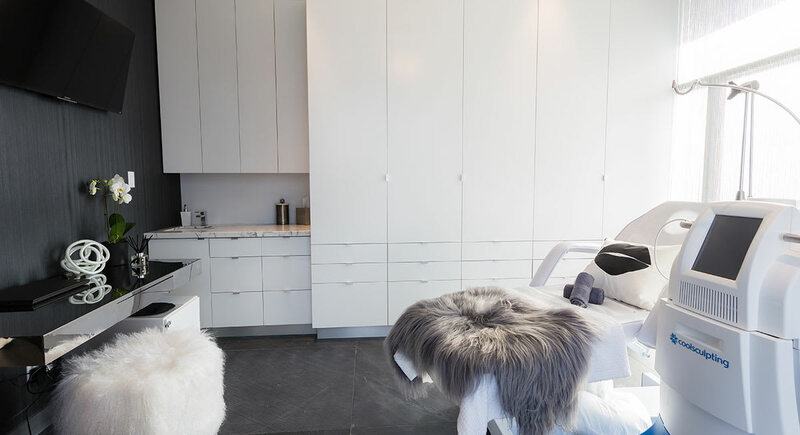 Finally, you can have all of your favourite rejuvenating treatments performed by Canada’s leading aesthetic medical doctors, nurse practitioners, registered nurses and registered practical nurses right in your neighbourhood. No more fighting traffic and wasting time on the road! We are proud to be the top provider of Botox and Juvéderm injectable treatments in Canada. We are also the top provider of the world’s most popular body contouring treatments: CoolSculpting, Fraxel, Venus Freeze and Venus Legacy. We perform more of these treatments than any other provider in the country, which makes our team the most experienced. 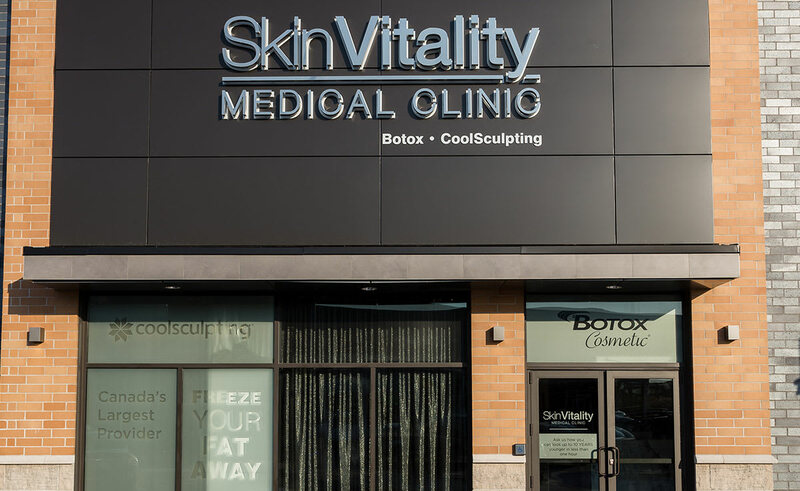 Skin Vitality Medical Clinic injects over 100 BOTOX patients daily at nine locations across Ontario. Our doctors, nurse practitioners, registered nurses, and registered practical nurses have injected over over 5 MILLION patients in the last 15 years. Our Oakville location is an elite Skin Vitality offering talented medical injectors utilizing advanced techniques in total facial rejuvenation. These techniques are known as “MD Codes”, developed by world-renowned injector, Dr. Mauricio de Maio. Dr. Mauricio de Maio’s visionary approach to injections is the result of years of study focused on the anatomy of the face, and how certain injection sites work to either increase muscle contraction and lift, or decrease the ability of the muscle to contract to smooth and reduce lines. Dr. de Maio is not a “line chaser”. Rather, he works with facial anatomy and structure to sculpt and lift naturally, without the need for surgery. He has created a universal coding system of the injection sites of the face, establishing certain treatment patterns that provide the most favourable results for specific outcomes. This allows his revolutionary techniques to address not only what you want, but also your emotional motivation (ie. how does the patient feel) and your clinical needs. The approach allows you to be educated with respect to the cause of you concern, and how best to revitalize a more youthful appearance. 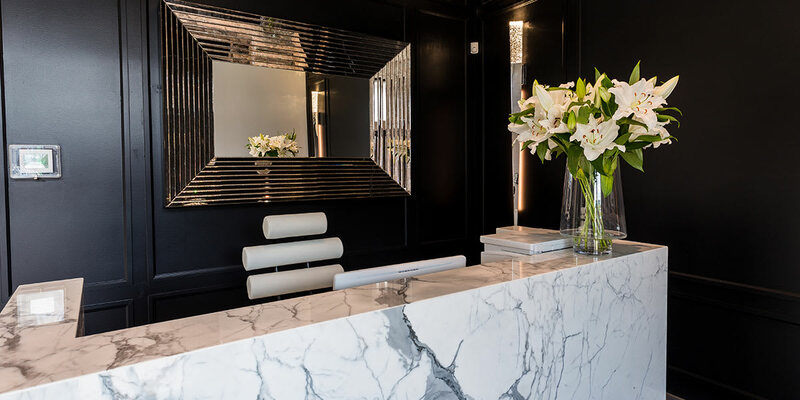 Directions: Skin Vitality Oakville is located in the Shops of Oakville South near the corner of Chartwell Road and Cornwall Road, just south of the QEW. We are located right beside Harpers Landing. All injections are performed by fully licensed and highly experienced medical doctors. 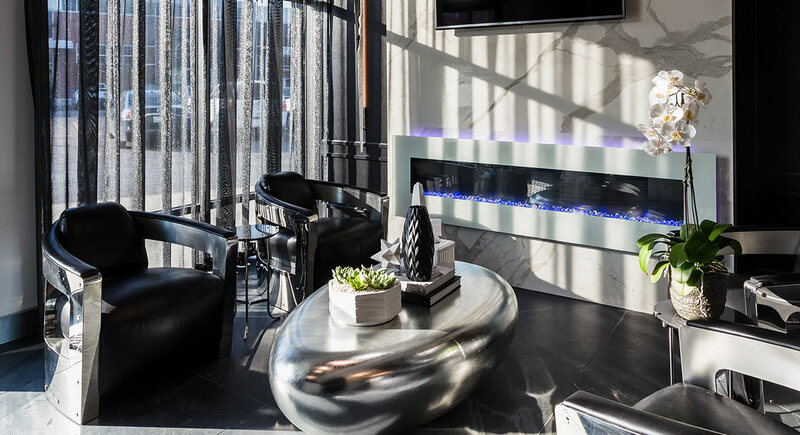 Located right in the heart of Oakville. Contact Skin Vitality in Oakville at 1 (877) 356-7776. The beautiful town of Oakville is technically part of the Greater Toronto Area, but it really doesn’t have the same feel as the rest of the GTA. Situated on the shores of Lake Ontario, this quaint town has a rich history, primarily based on its once thriving commercial port, timber and shipbuilding industries. In fact, that is why many people settled int he area during the 1800s. Today, Oakville has a population of about 186,400 and 13 distinct neighbourhoods. The town houses several historical buildings, plenty of parks as well as a picturesque downtown. How much does Botox in Oakville cost? Botox is charged per unit. Our Botox Oakville doctor and medical injector will let you know the number of units you may need before your treatment. Where can I get Botox in Oakville? We perform hundreds of injectable treatments every day at our locations across southwestern Ontario. We have the most experienced Botox doctors and nurses in Canada. For this reason, we are the top Botox clinic in Oakville Ontario. Where can I get facial fillers Oakville? Dermal fillers are one of most common treatments we perform in Oakville. Where can I get CoolSculpting in Oakville? Just drop by our location at 481 Cornwall Road Unit G2 in Oakville ON to get CoolSculpting! You’ll also find out our CoolSculpting Oakville prices. Do you perform PRP in Oakville? Yes. The PRP injection Oakville treatment is designed to rejuvenate your facial appearance by erasing fine lines, rough textures and pigmentation issues. We also perform the PRP hair loss Oakville treatment.